and asks you to come in. first find the sign of Gehn. 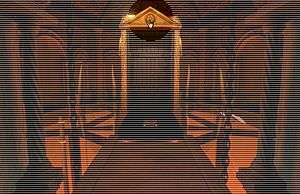 Survey Island - the elevator - Ghen's symbol on the top of the elevator - need I say more?